Start your review of Don Lauszus. Thank You! Your message has been sent to Don Lauszus at Eichenberg Chrysler. "Best time buying a truck....ever"
"Great experience with this dealer"
Drove 2 hours to deal with Jake at Eichenberg, no hassle and very up front and forthcoming with all information and records regarding the charger we purchased. Would definitely go back and deal with Jake again. 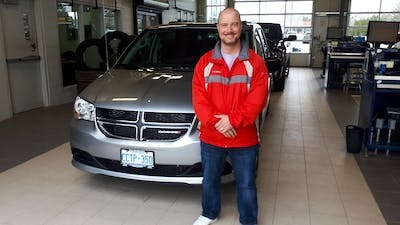 "A great new vehicle purchase experience"
My experience at Eichenberg Chrysler was excellent. Their price was considerably lower than an other dealer for the same vehicle. When our Jeep Cherokee came in they let us know that the price was in fact even lower yet. We recognized that we were dealing with a dealership with integrity. I enjoyed dealing with Jake Loewen. He explained everything in a concise but low pressured manner. I would highly recommend both Eichenberg and Jake. 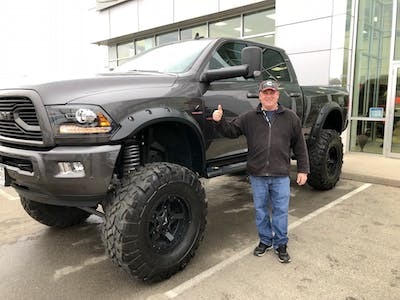 "Purchasing my extraordinary custom Ram"
The experience of purchasing my truck was great! Jake was excellent and knowledgeable with the details on the truck and more than helpful. He made the whole process a relaxing and pleasant experience. We would definitely recommend this dealership to others and would deal with them again. And yes, the grandsons love it as much as we do! "Thanks again Ann! Another fantastic experience!" Another fantastic experience buying our truck through Ann, she is great answering any and all questions , fantastic showing the features of the new vehicle and helping get it all set up! 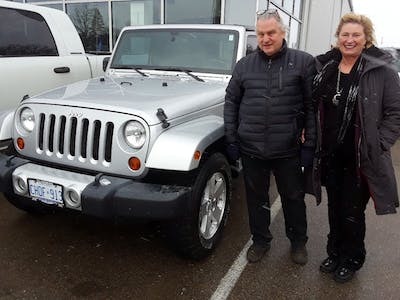 We have now purchased 3 vehicles at Eichenberg's and we always go through Ann because we know we will get fantastic service! Jeeps who hasn’t wanted one at one point in time or another. Charlie heard through the grape vine we were looking. The dealership took in a spectacular trade in and Charlie acted on his hunch. Couldn’’t be any happier . Great vehicle, great deal ! 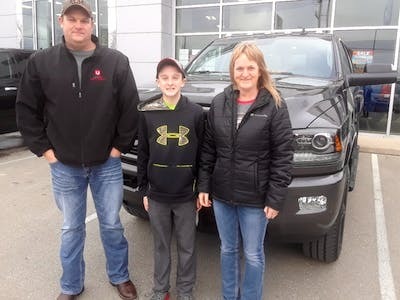 "New Dodge Ram Truck Purchase"
Everything was ready when I arrived, Bill Locker was very professional, walked me through the paper work, exchanged plates ,took are picture and we were ready to go. I would recommend the dealership and Bill to anybody wanting to purchase a Chrysler Product.